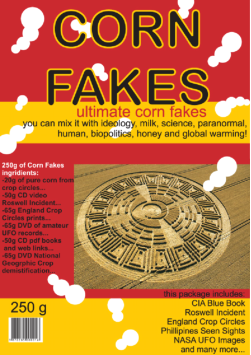 Corn Fakes / objects / 2008 A product for everyday nutrition C o r n F l a k e s, also known as cereals, is now in an alternated context of usage. 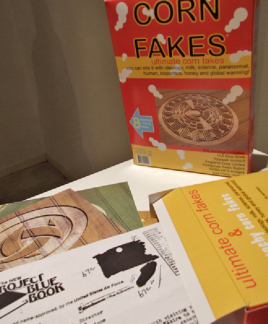 The product has been packed and designed as food but it refers to and criticizes the concepts emerging from popular culture or mass media conspiracy or even truth. Everything is allowed and legitimate. Postmodernism. Order now.